I try so hard to avoid wearing my chambray shirt all the time. I wear it a lot. It's probably my most worn thrifted piece. I'm afraid of wearing it out before I can thrift another one. It really lives up to its perfect shirt name. So easy to wear. Nicely broken in and goes with everything. 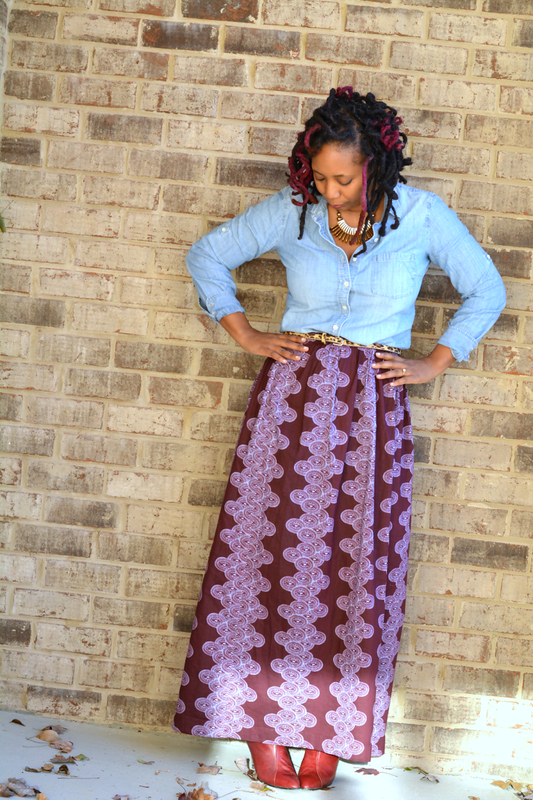 Of course it looks good with ankara! 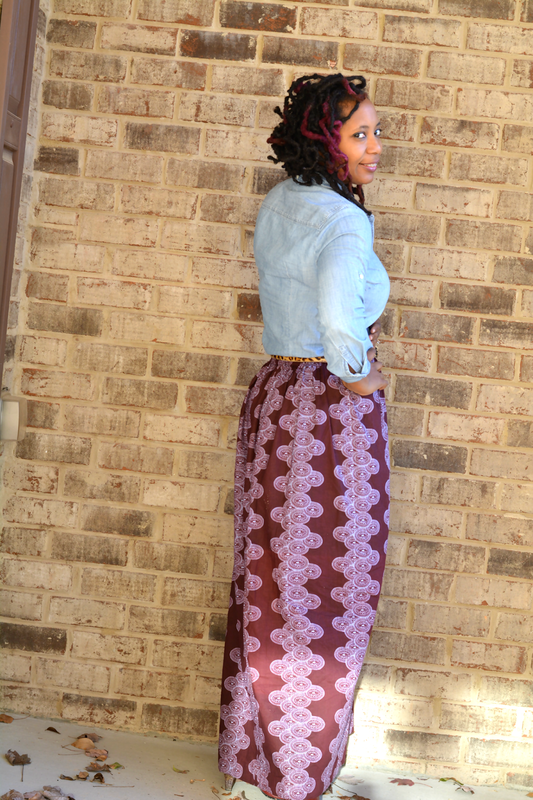 I could seriously wear ankara prints everyday. The custom made pieces can be kinda expensive for my pockets. I love it though. I am obsessed with gorgeous images like this one and this one! I need to sew up some more pieces. I have tons of fabric and a dusty sewing machine. I'm still trying to organize my new craft area and it is slow going. An ankara "collection" is just the motivation I need to bump it up on my list of priorities. Like most weekends, I take a break from kitchen duty and we dined out. This is what I wore and then it was back to my Netflix binge watching of American Horror Story Coven. Saturday I stayed up very very late forgetting V could care less about my wild moms night in of wine, witches, and voodoo priestesses. As usual when I push the limits of bedtime, V woke up extra early. Never fails. I'm happy to report that I've finished the entire season though. I have no self control. It wasn't like it was going anywhere anytime soon. I had been waiting on this season forever. It was just the escape I needed after a week of unfortunate events. 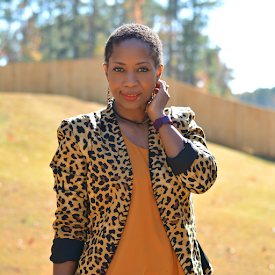 Linking up with the lovely ladies of Monday Mingle, Personal Style Mondays, Thrifters Anonymous, Fab Five Fridays and What I Wore Wednesday. Did you enter the 9th & elm giveaway? Are you the winner? You just cannot go wrong with a chambray! They go with everything. Love your colors in this pairing. 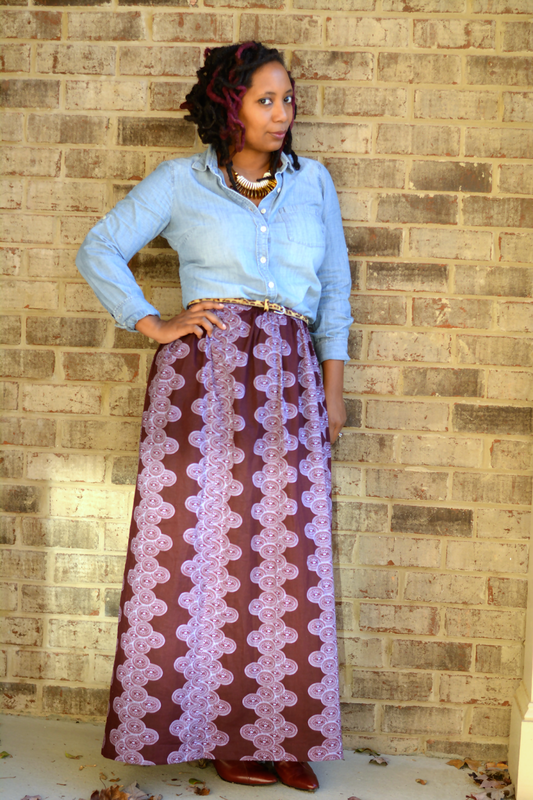 The maxi skirt is fantastic and a gorgeous print. And yes a chambray top pretty much goes with everything! Beautiful! I always look forward to your post. 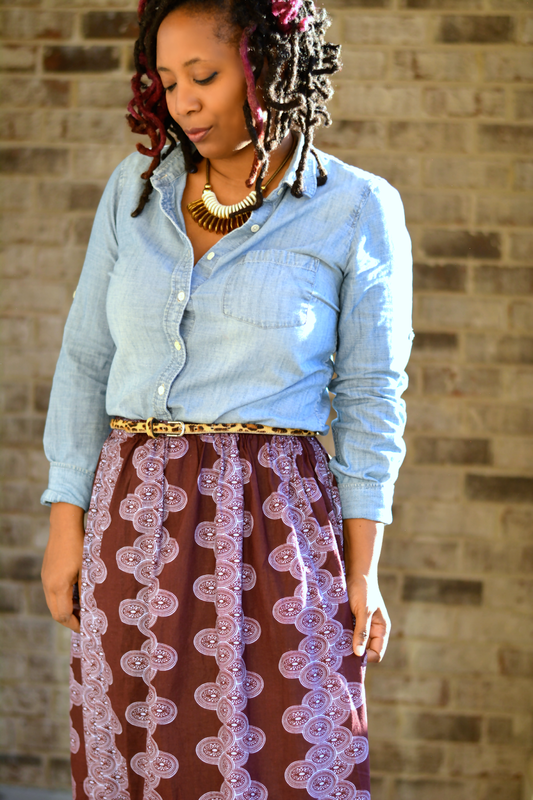 Chambray is such a great, go-with-anything piece, like the jeans of shirts! It's hard to not want to wear it all the time! Lovely as always! You have great style! 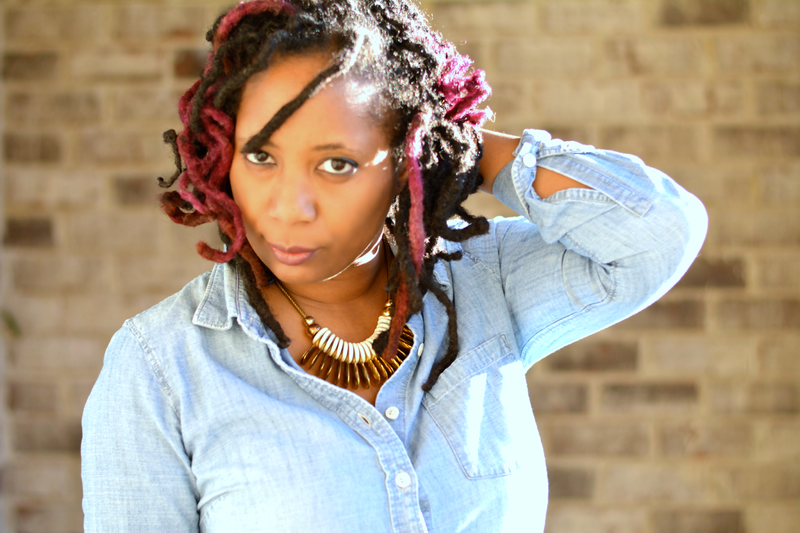 I think everyone should have the classic denim/chambray shirt in their closet - as you know, it's so versatile! I hope your week got better, because you looked fab! I tore my favorite chambray top, and haven't found a good replacement yet. Keep your safe! Sounds like you and I had the same weekend - I was binging on Coven, too! 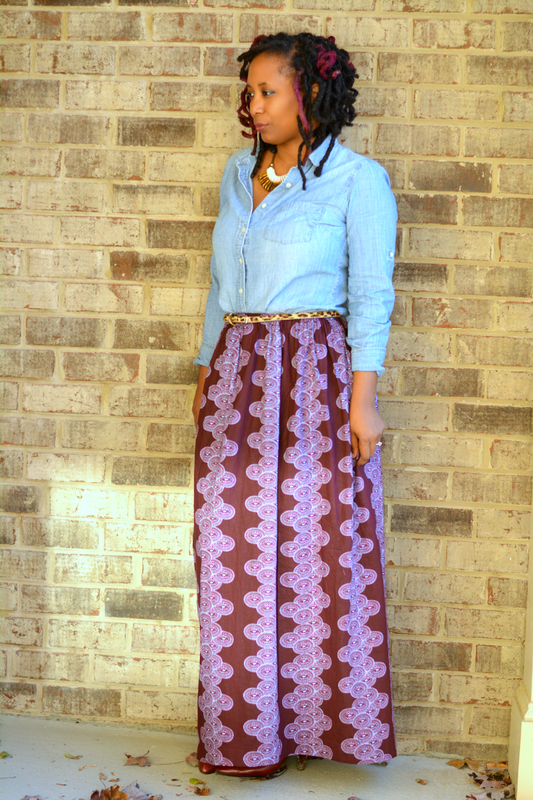 This maxi skirt is beautiful and I love that you paired it with your chambray shirt!